Labor Day is probably best known for being the "official end of summer." Children have either already returned to school, or will do so in the next few days. There will be fewer public observances, especially now that union membership has dipped has been in steep decline, even here in Michigan, the home of the American auto industry. While it is appropriate to remember and honor service members and veterans, honoring those who work doesn't reach the same level of concern, especially in churches. The fact is, however, most of us will spend a good portion of our lives laboring in some form of work. I may be in a professional position, that requires less of my body than other vocations, but let us not forget those who bring in the harvest, work the factories, build our roads and bridges, along with buildings and homes. We remember those who cook and serve, clean and care. Many in our society labor hard and receive few rewards. Many blue collar jobs that allowed people to enter the middle class have been replaced, and will not come back. My hometown was built on the lumber industry. That is gone. It's gone to the south where labor is cheaper and the turn around from planting to harvest takes about half as long as in the Pacific Northwest. With the closing of the mills has gone good wages that sustained an economy that was vibrant. I don't have lots of answers to give. I do think people need to get paid a living wage. I believe we need good health care that covers all of us. I believe need better education options. College is wonderful. I'm college educated. So is my wife. So is my son (he is just beginning graduate school). But many don't want to go that route. Because many of the jobs of today, jobs we would normally consider blue-collar, require advanced skills, we need to have good vocational schools and apprentice programs that will usher in new opportunities. Many of the jobs of the past, especially in coal country and the lumber industry of the Northwest aren't coming back. But, solar and wind are on the rise. They require a different set of skills. Let us, therefore, commit ourselves to providing the training people need to enter these high skill and well-paying jobs. At the same time, let's recognize the value of the work done in the service industries and retail. They're work is just as valuable and needs to be affirmed. Again, let's support this not only with better wages and working conditions, but also health care. Many in the service industries work more than one job to pay bills, but because these jobs are marked as part-time, they don't get benefits, like health insurance. I always felt that the Affordable Care Act (Obama-Care) was a first step to a better system. Unfortunately, the political winds have undermined that first step and no further efforts have been undertaken to truly resolve the problems in the health care situation. 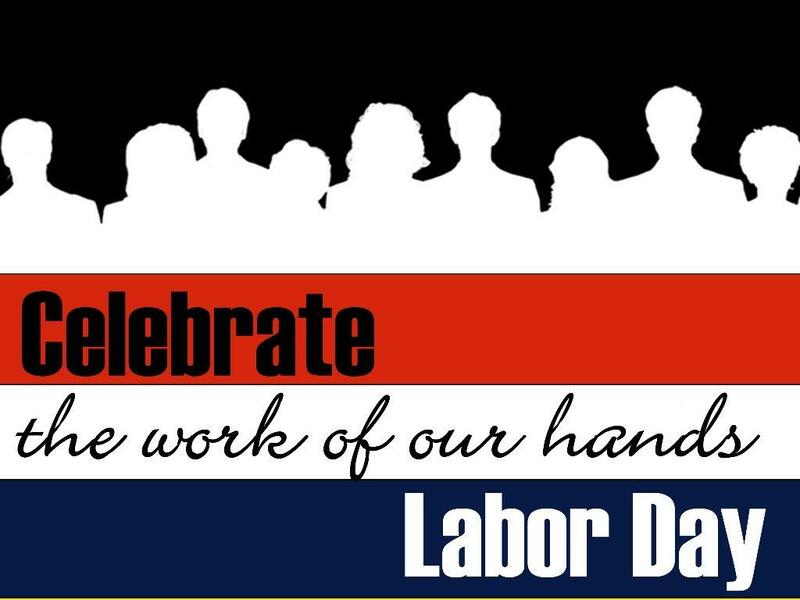 Let's take a moment this Labor Day to reflect on the value of work. Then let us commend those who labor. Finally, let us commit ourselves to pursuing better opportunities for all. One of the ways we can do this is supporting candidates in the fall elections who understand the importance of all labor, skilled and unskilled. To give a biblical spin to this conversation, I point our attention to 1 Corinthians 12, which reminds us that we need each other, because our gifts and vocations are different.